Outcomes are short-term, intermediate, or long-term benefits participants receive from involvement in a program. While determining short-term outcomes may be relatively straightforward, identifying long-term outcomes can be more challenging. An outcome considered to be intermediate in one program may be seen as long-term by another. The design of the program determines how short-term, intermediate, and long-term outcomes are defined. 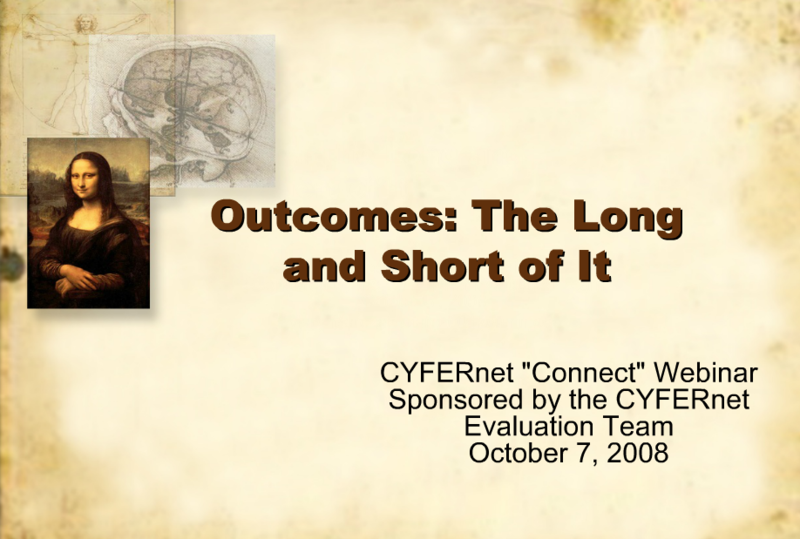 This webinar taught an understanding of how to define and measure long-term outcomes. The webinar taught an overall framework for determining appropriate long-term outcomes and share examples of ways evaluation strategies can differ based on this framework. Marczak, M. and McDonald, D.